- Voice controlled. Works with Amazon Alexa and Google Home when combined with a Hue bridge. Smart lighting Alexa: can be connected to the Amazon Echo Plus and Echo Show 2nd Gen DIRECTLY; all other Amazon devices like the Echo Dot, Echo, Echo Show 1st Gen and Echo Spot require a bridge like Phillips Hue to control the light by Alexa or the Alexa app. - Easy installation. Fits into your existing lamps with E27 Edison screw socket. Extend your Philips Hue starter kit with this bulb which also works with the Hue switch. - Save energy. 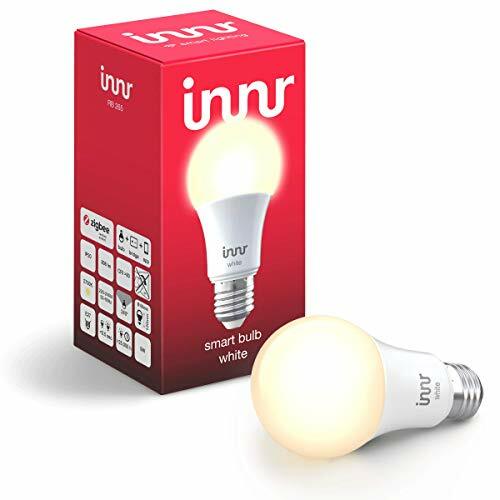 Innr bulbs use up to 80% less energy vs traditional light bulbs. Also available as economical multi-pack!